Latest iPhone apps and updates to hit the iTunes store today…. DoubleIP S.A., announces that DoubleCheck 1.0 for iPhone application reached No. 1 Top Paid & Grossing utilities charts in the Greek AppStore. In addition, DoubleCheck reached No. 6 Top Paid main chart position in the entire Greek AppStore. After the local success, DoubleCheck targets US and worldwide markets, offering users the ability to identify the mobile network of their contacts, mark it on their address book and have it always available when they place or receive a call. Portability is unveiled and mobile users with unlimited free plans between subscribers of the same mobile operator can now safely determine if a call is paid or free! 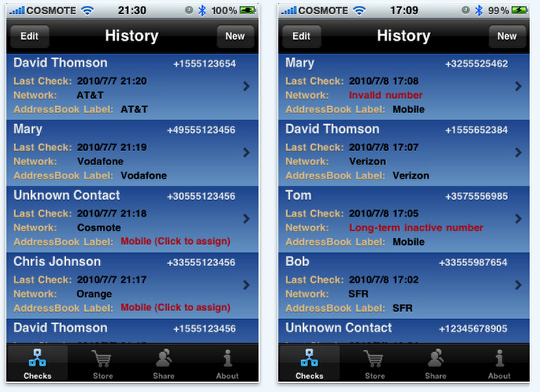 DoubleCheck 1.0, enables users to check the current mobile operator of their contacts and provides a simple one step mechanism to mark this info on their address book. Mobile Number Portability allows anyone to change mobile operator by keeping his existing number. Users having free calls/text towards mobile numbers of the same operator, feel uncertain about their costs when placing a call or sending a text. DoubleCheck removes this uncertainty by providing the mobile operator of the person called (or calling) on the iPhone screen. DoubleCheck, helps users reduce their communication costs while at the same time exploit the usage of their free call/text plans. Virtually anyone can benefit from DoubleCheck, since it supports all mobile operators in 202 countries. DoubleCheck 1.0 is $0.99 (USD) including 10 Free checks and available worldwide exclusively through the App Store in the Utilities category. Additional credits for checks can be purchased from within the application with costs ranging from $0.99 for 20, to $5.99 for 300.
essency today is pleased to announce the release and immediate availability of Awareness! The Headphone App 1.1 for iOS. Awareness allows users to listen to their music with complete peace of mind, knowing that important sounds (warnings, shouts, sirens, alarms or conversations) won’t be missed. It is a unique new class of functional headphone app. With increasing numbers of people using in-ear and closed headphones, there are serious safety issues caused by their isolation from the world around them. Awareness! solves these problems, allowing users to listen to their music at whatever volume they choose but, able to remain fully WORLD AWARE. It’s the essential app for music listening pedestrians, drivers, cyclists and bikers who need audio awareness for safety’s sake. 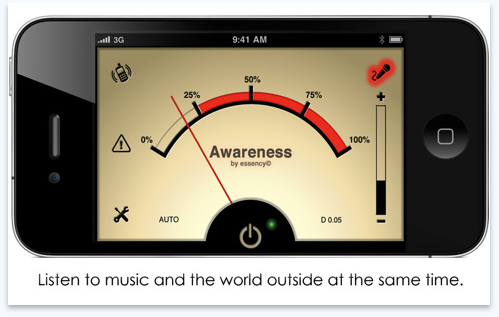 Awareness, allows users to listen to their music with complete peace of mind, knowing that important sounds (warnings, shouts, sirens, alarms or conversations) wont be missed. Awareness! uses the built-in microphone on the iPhone and iPod Touch to make headphones better and more practical to use. Users can hear whats going on around them, while they’re listening to music and they can set precisely the amount and type of external sound they want delivered into their headphone mix. "If you are on a bike and lost in your music, Awareness! will let you hear that truck horn before it’s too late. If you are on a train, Awareness! will let you hear the next station announcement before you shoot past. Even in the office Awareness lets you listen to your music, yet hear when someone talks to you"
"Set-it and then forget-it, until you need to hear what’s happening around you!" * Use with music, videos, games and audio books. Coming Soon – there will be regular free updates, including full versions of new features such as "Ducking" which turns down your music when. someone talks to you. Bluetooth – Awareness is not designed for or tested on Bluetooth or any other wireless headphones – yet! – watch this space for an In-App upgrade. Awareness! The Headphone App 1.1 is $4.99 USD (or equivalent amount in other currencies) and available worldwide exclusively through the App Store in the Music category. 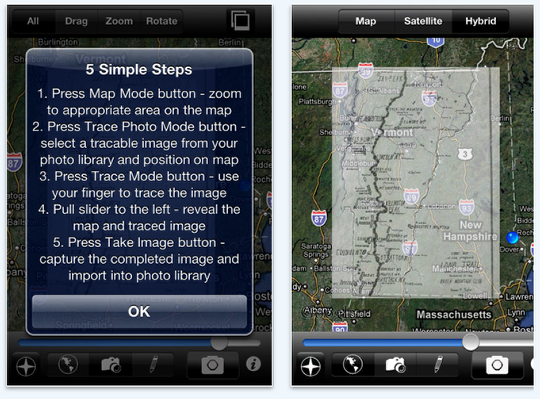 Long Trail Development today is pleased to announce Map Property Image Overlay Tracer 1.0, a simple map based iPhone, iPod touch and iPad application designed with property owners and outdoor enthusiasts in mind. The applications simple purpose is to allow its users to overlay and trace images directly on top of Google’s interactive map. Featuring standard, attractive and recognizable user controls, the app is very intuitive and easy to use. In a matter of seconds a user can transform a simple, crude map image that might be already in a user’s email box or desktop, or even just a paper map sitting on their desk, and turn that image into a location aware map that can be taken into the field directly or traced onto google maps and saved as a new image. The possibilities are endless. Map Property Image Overlay Tracer 1.0 is currently available for $0.99 (USD) through the App Store in the Navigation Category. Announcing that Jonathan Law, the developer of [Mod] It!, has just released the latest update for iPhone, iPod touch and iPad users. [Mod] It! 1.1 brings a new twist to a classic board game, letting users hange the configuration of the board with each move. [Mod] It! 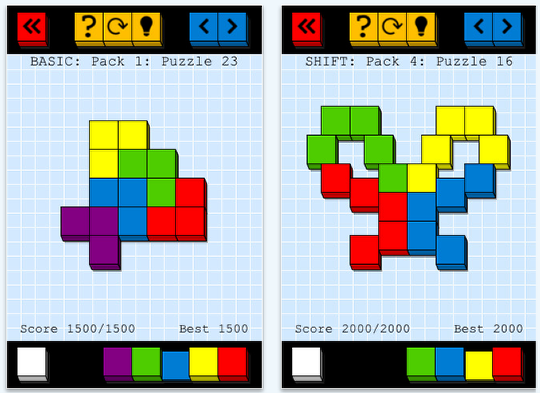 1.1 comes with 12 game boards and a board editor so that users can create as many new boards as their device can hold. Up to 4 users can play via wireless Bluetooth connection, or one player can compete against one of the app’s 3 difficulty levels. Gameplay is easy and the controls are intuitive, but users that need help getting started can use the tutorials to get up to speed quickly. Players roll the dice and move their game pieces, then take strategic action to slow down their opponents. The strategy involves changing the board by adding, removing, replacing, or even stacking board spaces, or "tiles", to force their opponents to change their game plan. 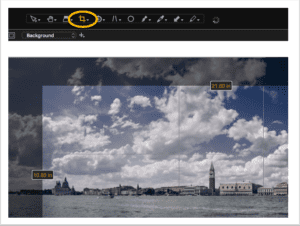 In case 12 ever changing game boards are not enough, users can create their own boards with the board editor. The only limit to the number of boards they can create and save is the amount of memory available on their device. In multi player mode, users can also share their custom boards with their friends. This latest update also includes a Pass-N-Play feature for the iPhone version. This allows up to 4 iPhone users to play on one device, by simply passing it from player to player. The iPad version takes it a step further with "Table Top" mode. Since the iPad has such a large display, Table Top mode enables users to simply set the device on a flat surface, where everyone can see it and join in the game. [Mod] It! 1.1 is only $0.99 (USD) and available worldwide exclusively through the App Store in the Games category. Announcing that MacPhun LLC, the developers of Doodle Cam, are proud to release their newest product for iPhone 3GS and iPhone 4 users. 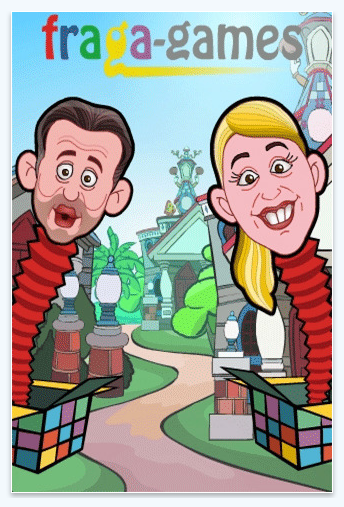 The application is a new launch and the only App in existence that takes real life in real time and transforms it into cartoon style videos and photos, which can be instantly saved and shared. Users have their choice of eleven different effects and seven soundtracks, which can be changed while recording with just a tap of the screen. Whatever a user sees on their iPhone screen is what they get in their photo or video. 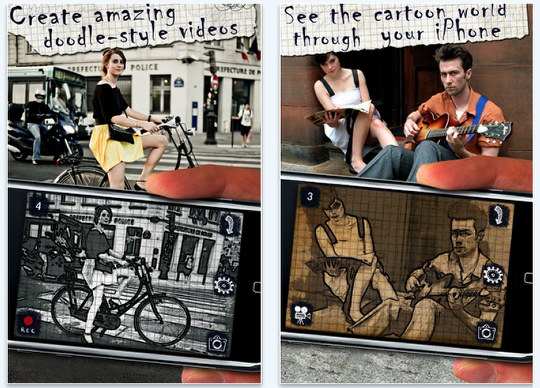 While many applications produce photos with sketch and cartoon style effects, what Doodle Cam offers has never been seen before in an iPhone app. 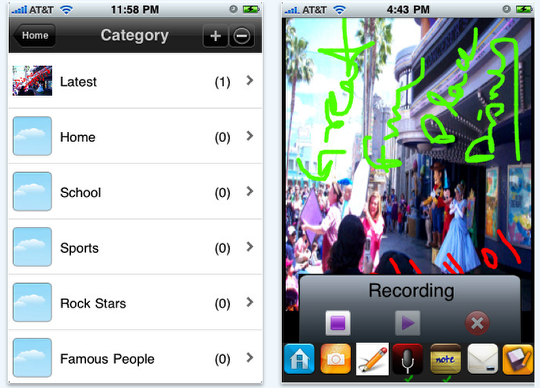 With Doodle Cam, users are able to record real time videos with their choice of eleven different sketch effects and seven soundtracks, all of which can be changed mid-recording with just a tap of the screen. Once a user has snapped a picture or recorded a video, they are able to save it to their camera roll. From there, they can upload videos to YouTube, share their creations on FaceBook and Twitter or email their photos and videos to others. MacPhun developers designed Doodle Cam for super easy use. Whatever appears on the screen is what will be in the saved copy. It is a ‘what you see is what you get’ application. Doodle Cam is not just about uniqueness, though it is noted for that. The app offers quality, supplying beautiful imaging effects and music, along with a fun and easy user experience. Doodle Cam 1.0 is only $1.99 (USD) and available worldwide exclusively through the App Store in the Entertainment category. 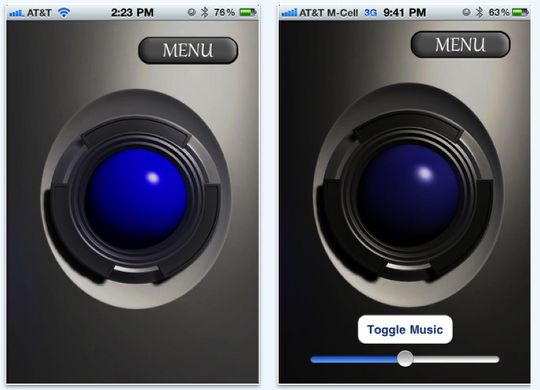 Independent app developer Dante Varnado Moore today announces Songwriter’s Pad 1.0.1 for the iPhone and iPod touch. Songwriter’s Pad for iPhone and is a a professional lyric writing app designed specifically for the iPhone. It was modeled after the successful top ranked iPad version and includes many of the same features like a digital audio recorder for capturing vocal ideas whenever inspiration strikes and powerful idea generating tools that are designed to inspire creative expression and eliminate writer’s block. 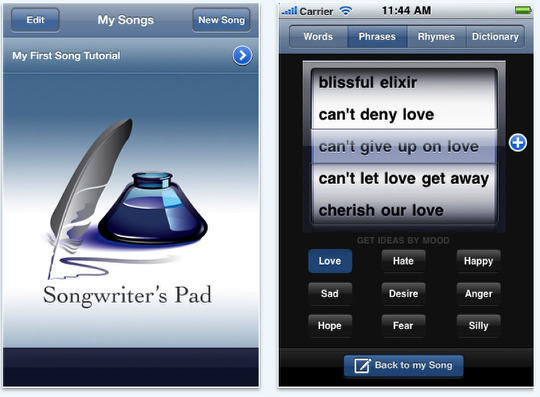 Songwriter’s Pad for iPhone allows users to write, arrange and store all of their lyrics and song concepts in one app. Unique to Songwriter’s Pad(TM) is its emotion based idea generator. Songwriters can randomly generate words and phrases that reflect their mood by tapping on a category such as ‘Love’, ‘Hate’, ‘Desire’, ‘Hope’, ‘Fear’ etc. The words and phrases that are generated can be saved and referenced for later use or inspiration. Songwriter’s Pad(TM) includes a searchable Dictionary, Thesaurus and a 70k+ word Rhyming Dictionary – all of the essential tools that any serious songwriter would expect. Songwriter’s Pad(TM) includes a built in digital audio recorder which is handy for capturing vocal expressions. Got an idea for a melody? Tap ‘Record’ on the built in audio player and let it rip. Songwriter’s Pad for iPhone 1.0.1 is is being offered at an introductory price of $1.99, Over 65% off of its regular price of $5.99 USD and the iPad version is currently on sale for $6.99, 30% off of its regular price of $9.99 USD (or equivalent amount in other currencies) and available worldwide exclusively through the App Store in the Music category. 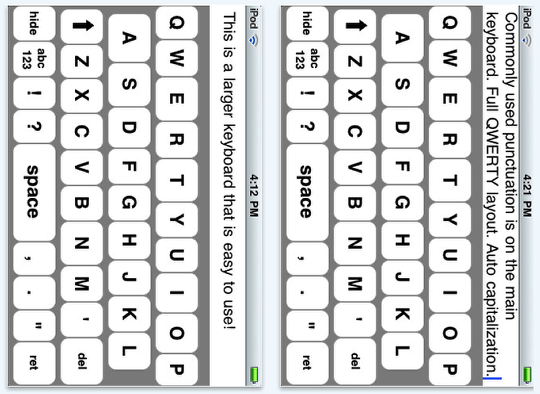 Easy Typing 1.1, released on August 31st, 2010, allows users to be more efficient when typing on the iPhone or iPod touch. The app features a large, full QWERTY keyboard with key sizes that are twice the size of the ones on the iPhone’s default keyboard. Available for only $0.99 on the App Store, the Easy Typing iPhone app allows users to take advantage of all the available real-estate on the iPhone and iPod touch screen to type more efficiently. 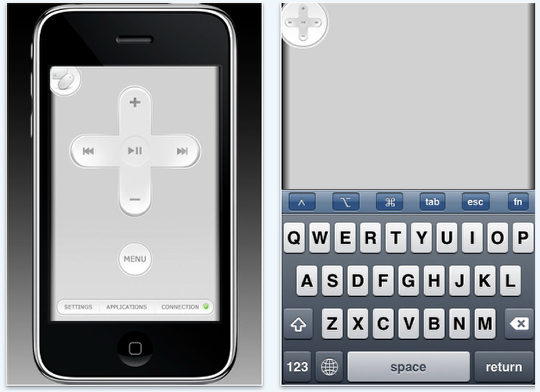 "Easy Typing has made typing a lot easier for users of the iPhone and iPod touch," says Canzhi Ye, developer of Easy Typing. "I would like to genuinely thank all of my customers for giving Easy Typing a try, and providing very informative feedback and suggestions." The default keyboard can often be frustrating to use. iPhone users, especially those with big thumbs, sometimes find that typing a simple email or SMS can take minutes. This larger keyboard dramatically increases the efficiency of typing on the iPhone, so users no longer have to waste time struggling with the default keyboard. Places outside of the US have accounted for 29.6% downloads in the first two weeks, confirming the need for a larger keyboard on the iPhone/iPod touch exists all around the world. "Everyday, there are people out there somewhere in the world that decide to download Easy Typing," Ye remarks. 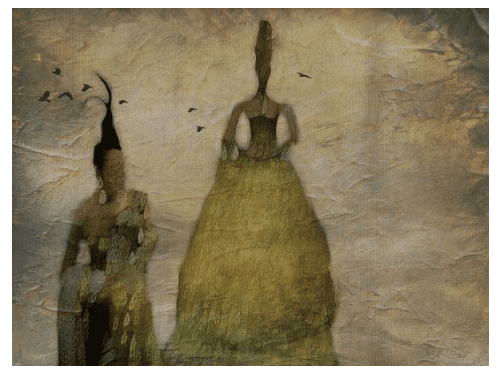 "I am really enlivened by this! In addition, I want to reassure users, current and potential, that Easy Typing is in active development, and updates are currently in the works." Easy Typing 1.1 is only $0.99 USD (or equivalent amount in other currencies) and available worldwide exclusively through the App Store in the Productivity category. Following the success of the CallSaver iPhone App, Jeremy Bassett has launched CallPlanPro 1.0, the most sophisticated Usage Monitoring Tool in the App Store. CallPlanPro provides a wide range of features to inform the user of their usage levels throughout their Monthly Bill Cycle. Historical data is displayed on swipable graph cards to allow users to build a current picture as well as reviewing previous month’s consumption. Users holding multiple iPhones under a single login are able to navigate to each iPhone’s usage stats using the usual iPhone controls. 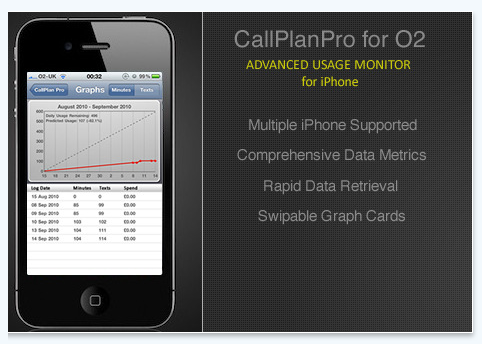 Designed from scratch to use iPhone 4’s retina display, CallPlan Pro presents basic and advanced measures in a compelling interface. Extensive user research and testing has ensured the statistics provided are the most relevant and comprehensive. Each measure is presented with a progress bar to provide a pictorial guide to the user’s current usage against plan. Note: CallPlanPro supports Pay Monthly and Simplicity from O2 ONLY. CallPlanPro 1.0 is only $0.99 USD (or equivalent amount in other currencies) and available worldwide exclusively through the App Store in the Utilities category. Grabarchuk Puzzles brings iCut Deluxe 1.0, their first universal puzzle app for all of your iOS device – iPhone, iPod touch, and iPad. With over a thousand challenges in six play modes and a range off difficulty levels, iCut Deluxe will get your brain skills to a new level! Goal is simple: cut shapes into identical parts. Puzzles are of increasing difficulty up to almost impossible nuts. iCut Deluxe 1.0 is $2.99 USD (or equivalent amount in other currencies) and available worldwide exclusively through the App Store in the Games category. VerySoftware today is pleased to announce the international release of Drunk App 1.0 for Apple’s iPhone and iPod touch. Say, you’re in the pub with your mates. After a few pints, play a trick on them: secretly run Drunk App on your or your friend’s iPhone or iPod touch, and make them question how sober they really are as the screen goes crazy. VerySoftware are working on more exciting features. 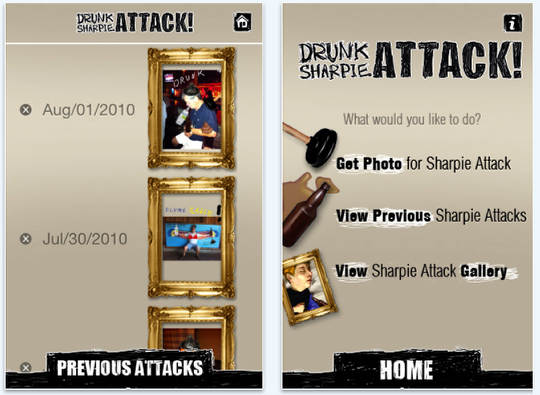 Drunk App is a novelty app available for the iPhone and iPod touch on the App Store. Authors of the app provide its full support: any comments, issues, suggestions can be sent to VerySoftware. 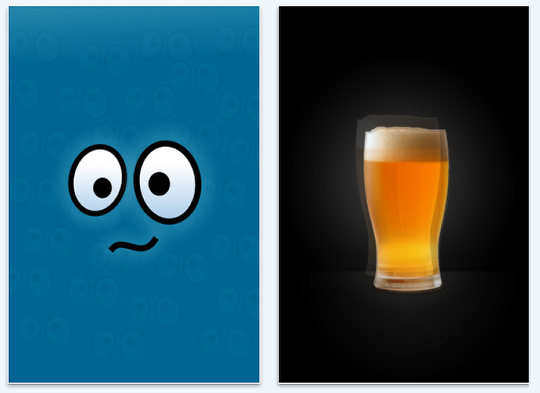 Team VerySoftware hopes you enjoy using Drunk App and is looking forward to your feedback. Drunk App 1.0 is free and available worldwide exclusively through the App Store in the Entertainment category. Sulaba Inc has released Autograph It 1.0 for iPhone and iPod touch as well as Android. While strolling through New York or the streets of San Francisco, you spot a movie star, a rock star, an author, a sports champion or any athlete or celebrity of your choice; you no longer have to scramble for a piece of paper, pen and a camera, or buy any over-priced autograph books at the store for getting an autograph. 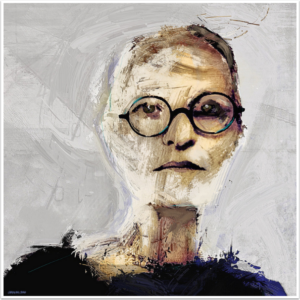 The app gives you an option to capture voice, hand written signature and picture of your favorite personality, all at once with the ability to store it digitally for ever. Just take your phone out, open the app, pick a category of your choice, snap a picture, get their autograph, record their voice and click a button, voila it is saved forever. You can also email it to your yourself for backup or share it with friends and family through facebook. While waiting at the airport or at the long lines of theme parks; your child is bored and wants to scribble or draw, give them a blank screen of the autograph app and do any kind of free form drawings or writing for hours. They can also record their voice with the picture they create and add notes to it to remember when and where they created that art. * Settings – The settings screen gives you two options. You can select the sign color for the sketch. You can select the sign thickness for the sketch. * The ‘Voice Record’ icon of the Autograph studio lets you record your voice or the celebrity’s voice that is tagged with the autograph collections within a category. 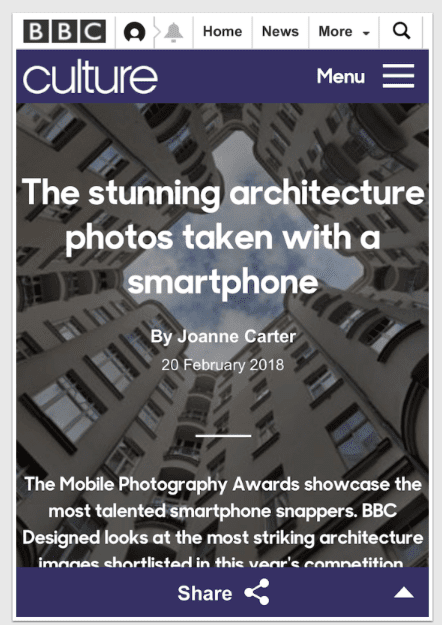 * The ‘Camera’ icon gives you the option to either take a new picture using the phone’s camera, or browse through your photo collection. You can also leave the screen blank. * The ‘Sign or sketch’ feature lets you select the category where you want to save the autograph after celebrity signature. Hope you enjoy this app as we do. Please checkout our website to know more about popular exciting mobile apps like ‘Memory Puzzle’, ‘Multimedia rich Journal Diary’, Project Managers related apps in various mobile platforms including iPhone, iPad, Android, Blackberry and WebOS. Autograph It 1.0 is $1.99 USD (or equivalent amount in other currencies) and available worldwide exclusively through the App Store in the Photography category. BlueHole delivers non-stop action in a game that you won’t put down! 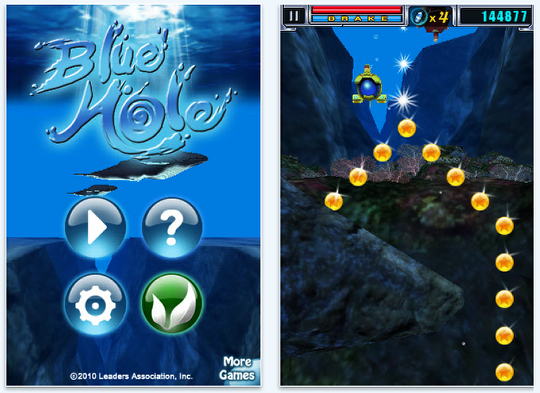 The scene of the deep blue ocean, the sensation of descending deeper and deeper with amazing underwater sounds while dodging marine mines, deadly fish, and other obstacles on your quest to set a new record will keep you playing this new iPhone game for hours! Combined with amazing graphics and non-stop action "BlueHole" is a ‘must have’ App for anyone who enjoys games and is looking for the next big game for the iPhone. As captain of your underwater craft you start out with a first level submarine with limited armor, speed, and braking capabilities. As you descend deeper and deeper into the ocean you collect points rolling over "coins" of various colors while avoiding the many dangerous mines, sea creatures and rocks. You earn the right to new and more powerful, submarines with greater armor, speed, and braking capabilities when you score more points. 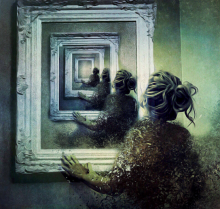 Unlock more powers, the deeper you go! Be sure to avoid the whirlpool or your game will be over! Based loosely on the concept of the bathyscaph Triste, "BlueHole" adds the excitement and challenge of trying to beat it original depth of 11,035m (36,204 ft.) while avoiding all the challenging obstacles. * Earn bonus points by hitting objects along your path. Earn extras point after collecting 10 bonus items. You can earn as many as 9 times the normal points by collecting the bonus items. BlueHole is brought to you by the creators of the extremely popular arcade apps "Swine Flu", "Trap Master", and "Urban Ducklings", from Leaders Association, Inc. They have decades of combined experience producing the most action-packed, fun-filled, and challenging iPhone games ever to hit the market. BlueHole 1.0 is available for worldwide immediate download for the iPhone and iPod touch at the Apple App Store for an introductory price of $1.99 (USD). Regular price is $2.99. For more information about the Blue Hole App, please visit the App Store link below. 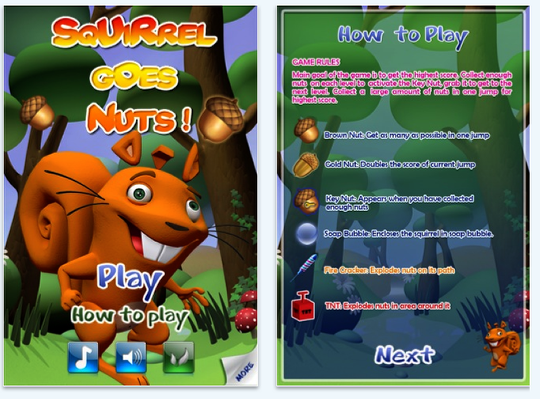 Dutch game development studio NextGamez today is pleased to announce Squirrel Goes Nuts 1.1 for iPhone, iPad and iPod touch devices. You are a Squirrel with a mission: to collect as many nuts as possible and grab the key nut. The more nuts you get in one jump, the higher your score will be. So lets go Nuts! On your journey through the trees, you will come across several different types of surfaces, each with their own property that affect the squirrel jumps. Destruction and hunger are two elements you need to stop this squirrels appetite. The game features simple game mode of operation, with fun items to the game, as well as OpenFeint features that make your scores and achievements one to compete with global players. The Combo Bonus listed in the game is simply the extra points you got for collecting nuts in one jump. You have an infinite amount of jumps, so try to get into position to ensure that you get as many nuts possible in one jump. Falling straight down from the ceiling is an efficient way of catching many nuts at once. As long as you don’t click again, it is counted as one jump for scoring purposes. Use this to your advantage by sliding and bouncing. Squirrel Goes Nuts 1.1 is only $0.99 USD (or equivalent amount in other currencies) and available worldwide exclusively through the App Store in the Games category. The Runware Company announced today the publication on the Apple’s App Store of GooTasks(TM) for iPhone and iPod touch. GooTasks(TM) is the first free application for managing task lists that can sync with multiple Google accounts (Google Tasks are available with Google Gmail or Google Calendar). GooTasks(TM) is a well thought out, simple but effective application to synchronize and manage Google Tasks Google with an iPhone or an iPod touch. GooTasks(TM) is compatible with task lists, subtasks (indented tasks by swipe it with your finger), due dates, "in App alerts", notes, and manual reorganization of tasks. "GooTasks(TM) is the power of Google Tasks and more now in your pocket." said Olivier Pascal, founder of Runware Company. GooTasks(TM) has a native support for multiple accounts for sharing tasks with family or co-workers by using the same Google Account. GooTasks(TM) is also compatible with Google Apps accounts, an integrated solution aimed at businesses wishing to use Google services with their own domain name. GooTasks 3.0 is free and available worldwide exclusively through the App Store in the Productivity category. Connecting to Google Apps accounts is reserved for the premium version of the application. Upgrading to the premium version can be made directly in the application for a price of $4.99 in USA. Regular Rate and Rhythm Software today is pleased to announce Rowmote Pro 3.2 for iPhone, iPod touch, and iPad, a major update to their complete remote control solution for Mac OS X and Apple TV. Rowmote Pro emulates the Apple hardware remote control, providing application-specific controls through a consistent interface, while featuring a multitouch trackpad and keyboard. New in the version 3.2 release, its trackpad sports true multitouch, with one, two, three, and four finger gestures – positioning it as a competitor to Apple’s own Magic Trackpad for Mac users who own an iOS device, at just one-fourtheenth the cost. The Rowmote Pro keyboard continues to handle anything the device itself can – including accented characters and international layouts. Rowmote Pro controls thirty popular applications, from music applications like iTunes and PandoraBoy to video players such as DVD Player, Hulu Desktop, Plex, and Front Row, to presentation tools such as Microsoft Powerpoint and Apple Keynote, precisely as the Apple hardware remote would. Its consistent, attractive interface makes it easy to manage a media center computer or a presentation. On the iPad, the central Gesture Pad provides intuitive no-look control via taps and swipes as well as access to the trackpad. Rowmote Pro evolved from Rowmote for iPhone, iPod touch, and iPad, which offers the same features except without keyboard and mouse support. An in-app upgrade path is available for Rowmote users who wish to add the Pro version’s capabilities. Rowmote Pro 3.2 is $4.99 (USD) and available worldwide exclusively through the App Store in the Utilities category. Redbot Software Inc, a SF Bay Area based software company announced today the release of its iPhone app, Time Lapse Photo Journal, on the iTunes App Store. The Time Lapse Photo Journal App allows iPhone and iPod touch users to create Photo Journals of their lives, by adding photos of themselves or loved ones, and then playing back the photos they take over the weeks, months or years, as Time Lapse video slideshows. Videos can be uploaded to Facebook and YouTube to share with friends. 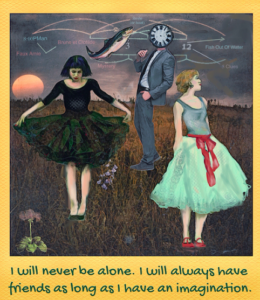 Create Photo Journals for each person or subject. 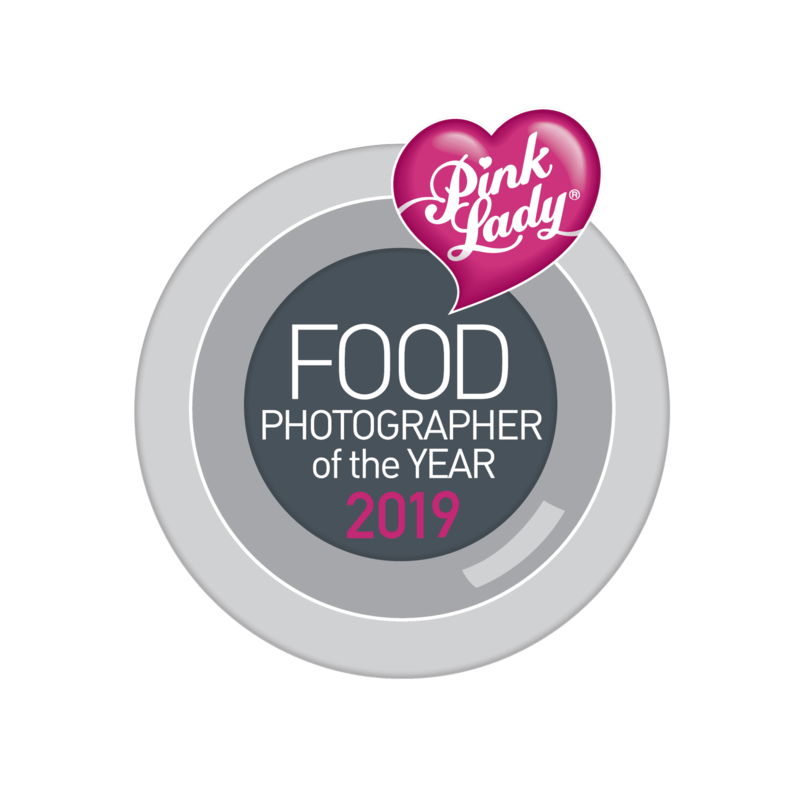 (ie self portrait, child, spouse, pet, diet program, home remodel.) Add photos to each over regular intervals, days, weeks, or months. 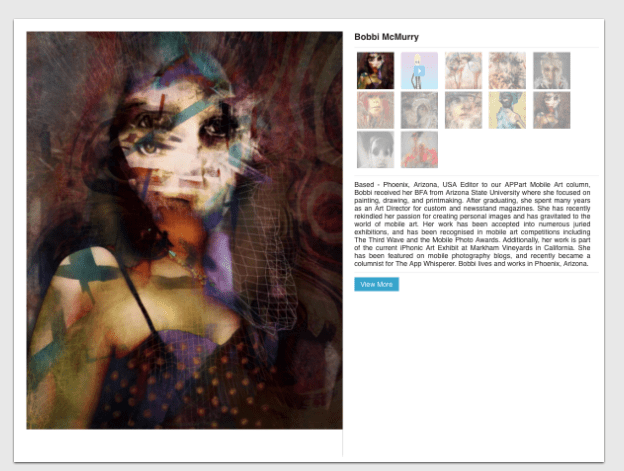 As each photo is added, crop and use the guides to align to a grid or to the last photo. App can be used to track changes over time. Children growing up. Faces as they change over the years. Growth of pets and plants. Even home remodels as work is being performed. 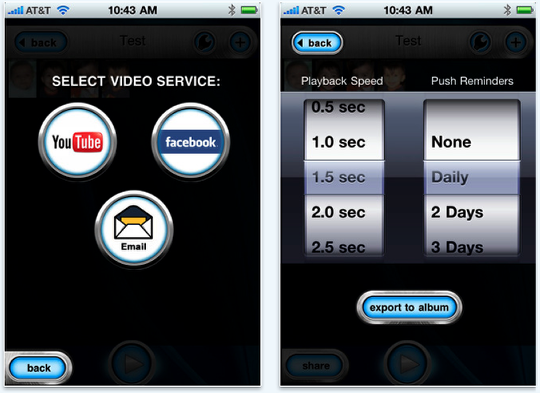 App uses advance iOS 4.0 features, such as auto-save and restore, as well as local Push Notification reminders. Push notification reminders can be set for each Journal at regular intervals, so user never forgets to take a new shot. Playback the photos as slideshow movies. Adjust the playback speed for each Journal. Upload and share the videos on Facebook and Youtube, or email directly to a friend. Time Lapse Photo Journal 1.0 is $0.99 USD (or equivalent amount in other currencies) and available worldwide exclusively through the App Store in the Photography category. Mischief-Making Minions go "Back to School" in Chapter 12 Update for iPhone and iPad. Eyedip has just announced a Pocket Devil and Pocket Devil HD "Back to School" update with all new content! Summer is coming to an end, but the Underworld and the Mugat2 are inviting users to the schoolyard to come and play… with their eternal souls. The popular entertainment app, now with brilliant new Retina Display graphics for iPhone 4 owners, allows players to summon hordes of devilish underlings called "The Mugat2." As their malevolent overseer, players can completely annihilate them, one by one, choosing from a variety of torture methods like the new "iron maiden" themed locker. Points and trophies are also earned in mini-games, including a brand new slingshot game that shoots the little guys straight into heaven! "It’s incredibly fun to play with the Retina Display graphics, it just looks so rich and brilliant," says Eyedip Co-Founder Jeremy Adelman. "The school-themed additions make for terrific new features as well." 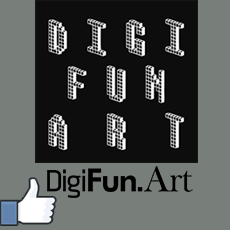 Co-Founder Steven Fleisher added, "With new mini-games and ways to torture the little guys, it’s hilariously fun!" Pocket Devil – Hell Yeah! is available for $0.99 (USD) in the iTunes App Store on iPhone and iPod touch. Pocket Devil HD – Hell Yeah! is available for $2.99 in the iTunes App Store on iPad. Announcing Fraga-Games Ltd., the developer of Kickin’ Fraga, is proud to launch a unique, new product for iPhone, iPod touch and iPad users. 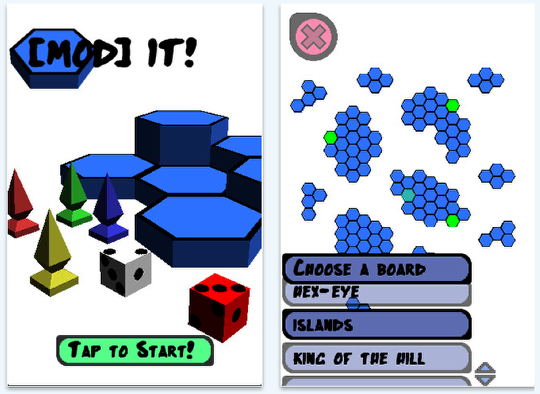 Developed to work universally on all three iDevices, Kickin’ Fraga is the world’s first fully GPS controlled game app. The application’s avatar moves only when the user does, working solely by a change in the user’s physical location within a designated area. That means fun and exercise as a user runs around to play the game and progress the avatar. Kickin’ Fraga is only the first release in a planned series of GPS positional games from fraga-games. Kickin’ Fraga is a new launch and a unique product offering. It is, to date anyway, the first and only GPS driven action game app available on the market. The only way for users to play is to move. The game has been developed for use outdoors. A player merely lets the GPS find his or her location to begin. From there on in, the avatar will only move in sync with the player, who must use his or her legs to get the game’s avatar around the area. There is a lot of fun to be had in this application, whose gameplay also provides the benefit of exercise and fresh air. * Free and frequent updates! According to the Fraga-Games design team, Kickin’ Fraga is just the beginning. The company plans on launching a series of other unique GPS positional games and are looking into developing multi-player versions that would allow users from all over the world to compete with each other. Kickin’ Fraga 1.0 is only $0.99 (USD) and available worldwide exclusively through the App Store in the Games category. 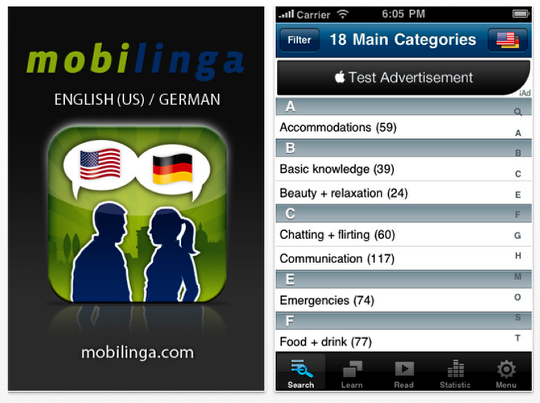 Award winning German learning company Mobilinga is making its key "Trip" product range free to US customers. The full feature apps are advertising supported and require users to have an active internet connection. Mobilinga’s mission is to help the world’s iPhone users to each learn a new language. Once online users are able to do all the same things they can with the paid for app. Users who want the app without adverts can still purchase the paid for version. The new services are supported by the iAd advertising programme, and customers must have an active internet connection to use the apps. Once online they can use the app in full. They will also be able to interact with a discrete ad placed within the application. For US customers who prefer to choose an app without adverts Mobilinga is also offering paid for versions of all its products. The move represents a bold evolution of strategy for the German based Mobilinga, who have successful top 10 products in a number of European iTunes stores. CEO Matthias Kose explains that, "The freemium and ad supported model is touching every area of business from retail, food and drink, entertainment and of course software. In our case, we felt the time was right to try an experiment to see just what customers prefer. We have a strong product and we’ve proven that people are willing to pay for it in quantities. That gives us the confidence to offer customers the same high quality apps with ads so that they can use it, in full, at no cost. These are not limited or demo versions, these are key products with full functionality. We think it will be fascinating to see what happens with free vs paid for. Exciting times lay ahead." 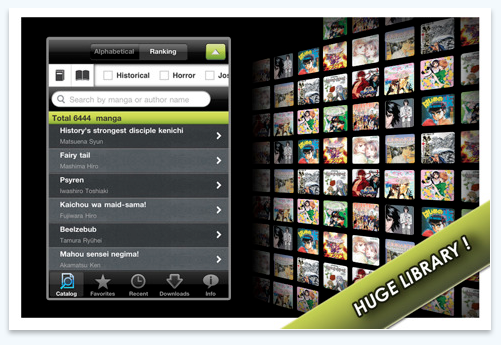 Not A Basement Studio today announces the launch of Manga Rock MF – the ultimate manga viewer for the iPhone and iPod touch. Manga Rock MF is designed to deliver the best manga reading experience ever. Before Manga Rock MF, there was virtually no other apps that could deliver that, except for the first Manga Rock app, which was also designed by Not A Basement Studio. Manga Rock MF’s manga source comes from MangaFox, one of the best online manga sites in the world. With over 6000 titles to choose from, there are guaranteed more than enough manga for everyone. However, what makes reading manga on Manga Rock MF a satisfying experience is not only about the contents, it’s the utility. Manga can be found easily with filters by Alphabets, Ranks, or Categories. Chapters are beautifully arranged and displayed. The app also supports both online and offline reading with background downloading. Manga can be read in both landscape and portrait mode with intuitive touch gesture such as tap or swipe to turn page, double tap or pinch to zoom, on-screen rotation lock, etc. Unlike other manga apps, Manga Rock MF was designed from the ground up with user experience at its core. LLC today is pleased to announce the release of LED Flashlight – Multifunction version 2.1. No ordinary flashlight, LED Flashlight – Multifunction supports four major flashlight functions: traditional flashlight, strobe light with user speed control, orse code button, and screen light. Version 2.1 also adds a never before seen feature to the application. The user now has the ability to add a custom techno song in the background while using the strobe light. The application includes a basic flashlight which allows to turn the LED on and off with the click of a button. It also includes the unique ability to control the LED flash a strobe. The strobe bar allows the speed of the flash to be as slow as an SOS or emergency strobe for users in an emergency roadside situation or while jogging at night. In addition, the strobe light can be sped up to an "ultra fast" setting that will mimic a party strobe. *New to version 2.1 is a custom techno beat made exclusively for Stellar Apps by Innovation Records. This song can be played in the background of the application while using the strobe light or while switching to other features. LED Flashlight – Multifunction is the first to offer this feature in the App Store. The third function supported by the application is a Morse Code setting. A single button on the screen can be pressed at different speeds, lengths, and variables, all while the LED flash will copy these commands. For those that do not know Morse Code, this unique feature can be used to communicate any other code between iPhones. The fourth a newest function allows for the iPhone screen to be used as a flashlight, transforming the screen into a bright white image. This addition will allow users of older versions of the iPhone or iPod touch owners to purchase the application, also providing the LED light functions whenever they upgrade to the newer model. Multifunction LED Flashlight 2.1 is only $0.99 USD (or equivalent amount in other currencies) and available worldwide exclusively through the App Store in the Utilities category. Matthew King, leading developer of finance apps, today announces the release of the newly updated and improved Debt Snowball Pro. Using the popular debt snowball method, this app optimizes debt payments for the quickest approach to financial freedom. Debt Snowball Pro not only helps to provide relief from the burden of debt, it helps consumers save money in interest payments by knocking out debt faster than other payoff methods. Financial advisors, firms, and banks, use and teach this debt snowball method for eliminating debt. With Debt Snowball Pro at their fingerprints, users can personalize and select the best payoff method for their debt. The method is simple: input debts (including balance, interest rate, and monthly payment) and Debt Snowball Pro will help select the best payoff method. Once a debt is paid off, users apply the previous payment to the next debt, resulting in a snowball effect as the amount paid toward larger loans grows over time. Debt Snowball Pro provides options for those who don’t want to be restricted to one method of debt payoff. Users can choose to pay off debts with higher interest rates first (to save money), or those with the lowest balances (for small, motivating successes along the way). Debt Snowball Pro will show just how much money can be saved by choosing these methods over making minimum payments. 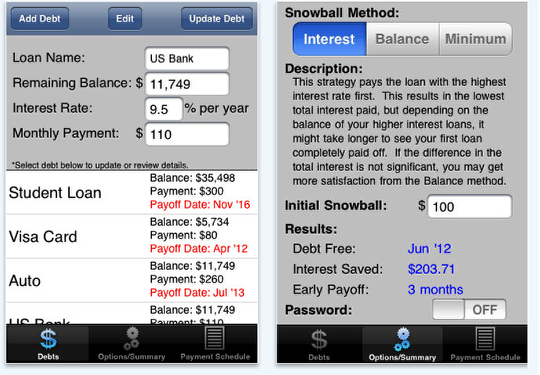 Debt Snowball Pro 4.1 is $2.99 (USD) and available worldwide exclusively through the App Store in the Finance category. Review copies are available upon request. Announcing SellYourMac, the developer of Drunk Sharpie, has released the latest version for iPhone, iPod touch and iPad users. This is the latest update for the application that allows users to draw on and add embarrassing icons to pictures of their drunk, passed out friends before sharing the photo with others. This update precedes the upcoming launch of Drunk Sharpie Pro, which will offer one hundred plus more icons to the already generous selection. Within the Drunk Sharpie app, users are able to choose a sharpie size and color with which to draw on a newly snapped or previously saved photo of a friend who has passed out from being drunk. There is a satisfying selection of funny icons for users to add to the photo too, such as a plunger, feather duster, blowup doll and other embarrassing props. Everything is included to create the perfect humiliating picture. All of this serves to replace actually drawing on passed out people. There is no longer any need to take red lipstick to someone’s face, and anyone who has ever tried to get that off will be especially thankful for this app. Naturally, when a person finds something hilarious, they want to spread it around. Once a user has completed their creation, they are able to share the fun with others by posting to either their own or Drunk Sharpie’s FaceBook page, a Twitter account, via email or MMS. This update precedes the upcoming launch of Drunk Sharpie Pro, which SellYourMac developers already have in the works. The Pro version will offer one hundred plus more icons to the already generous selection. Drunk Sharpie 1.2 is only $0.99 (USD) and available worldwide exclusively through the App Store in the Entertainment category. Announcing that WhisperingWord Ltd, the developer of the WhisperingWord iPhone and iPad apps, has just released the latest update for iPhone, iPod touch and iPad users. WhisperingWord and Whisperingword Spanish for iPhone (both version 1.1), and WhisperingWord and WhisperingWord Espanol for iPad (version 1.0), give users access to the wisdom and teachings of Victor Robert Farrell, who has been writing and teaching from the Bible for over 30 years. The apps are updated with fresh writings daily, and offer users in-app EBook purchases and a chance to engage in live forum discussions. 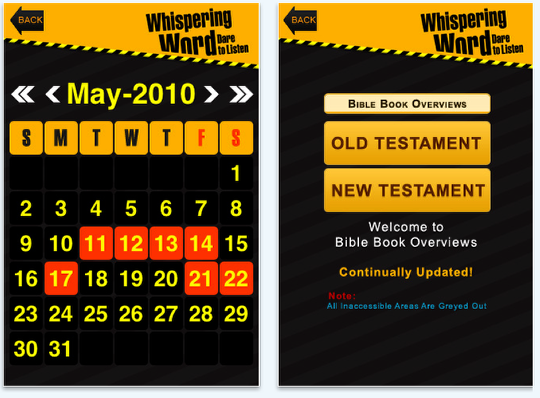 * Night time devotions aka "Night Whispers"
Through down to Earth, easy to understand overviews, users will come to fully understand every book of the Bible. These four apps are designed to help users grow spiritually through fresh daily morning and evening inspirational writings, called Wake Up! and Night Whispers. These teachings have been well received the world over, and are updated twice daily for users to enjoy. Another timed delivery feature is the Word Of The Week, which is a more in-depth weekly study that often includes embedded Youtube videos. As the name suggests, this feature is updated once a week. The WhisperingWord apps also give users the option to learn even more by accessing Victor Robert Farrell’s daily blog and through in-app purchases of his many EBooks. New titles are added regularly. The calendar feature lets users see Victor’s schedule of speaking engagements, so they can catch him live when he is in their area, and there’s also a "Book Me" feature for those who might want to book him to speak at a function. These are also the only apps of their kind that encourage users to expand their spiritual horizons through lively conversation in topical forum discussions. WhisperingWord and WhisperingWord Spanish 1.1 for iPhone are free. WhisperingWord For iPad and WhisperingWord Espanol for iPad 1.0 are only $4.99 (USD). The entire suite of apps is available worldwide exclusively through the App Store in the Lifestyle category.